This bracelet is comparable to the Man's Brutus piece except its done a little more lacy to make it more feminine. 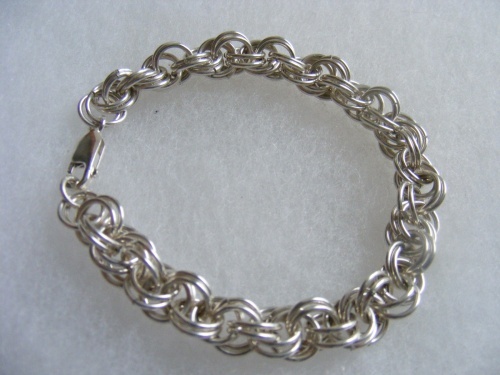 Made from scratch started with wire, made rings and then wove them into this spiral pattern. All sterling silver .925. Can be made in any size just mention size when ordering in the paypal instructions box.